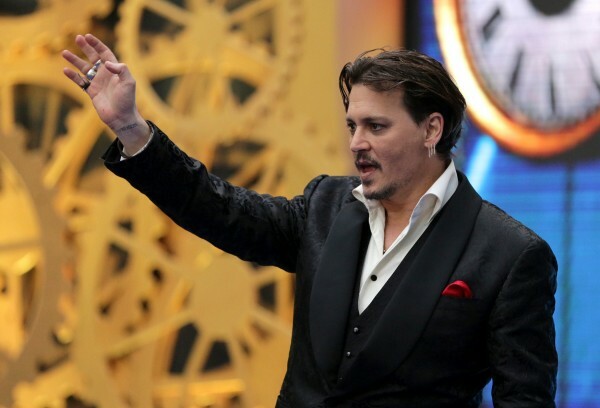 Johnny Depp is set to star in King of the Jungle, a dark comedy about the eccentric inventor of McAfee Antivirus software, John McAfee. Condé Nast Entertainment said the story is based on a Wired magazine article about the tech titan who left the business to live an isolated existence in the Belize jungle. From Ed Wood screenwriting team Scott Alexander and Larry Karaszewski, King of the Jungle will follow the reporter assigned to write about the paranoid McAfee. King of the Jungle will be directed by Crazy. Stupid. Love directors Glenn Ficarra and John Requa. International and domestic distribution rights are up for sale at the Cannes Film Festival. Johnny can be seen next in Pirates of the Caribbean: Dead Men Tell No Tales, out on May 26. The true story of a duel during World War II between celebrated Russian sniper, Vassili Zaitsev, and the Nazi's best sharpshooter. Jude Law stars.